Norwegian, the third biggest low-cost carrier in Europe, is preparing for major expansion in 2018. The airline plans to take “to new heights” by launching new long-haul routes, as well as increasing frequency of current flights to the United States. 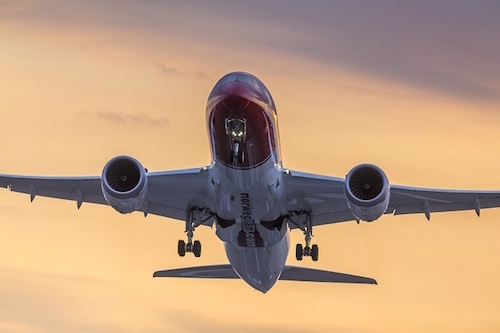 “This year will see us fly to new heights as the UK will continue to be centre stage for our international growth,” Thomas Ramdahl, Norwegian Chief Commercial Officer, says in a statement. “We want to fly people further for the best possible value which is why we’re investing for the future in low-cost long-haul travel. We’re upgrading the long-haul passenger experience by introducing a bigger Premium cabin, inflight Wi-Fi and more brand-new aircraft to service our expanding network. It has never been a better time to fly Norwegian and we’re excited to launch affordable flights from London to Argentina where we have active plans to take-off this year”. Norwegian’s plans to launch new long-haul routes include some new destinations in the USA (e.g. Chicago and Austin) and its first service to South America (Buenos Aires, Argentina), while for the already established USA destinations it promises “more affordable flights”. For this purpose the carrier also intends to use new long-haul aircraft equipped with new technology (e.g. Premium cabin and inflight Wi-Fi). The airline also points out it flew 5.8 million passengers from the UK and Ireland and launched more than 15 routes in 2017, including “the world’s longest low-cost route between London and Singapore”. ← Why is there a surge in bird strikes?